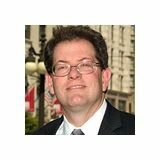 Justia Lawyer Directory Search for "Eugene K. Hollander"
Search for "Eugene K. Hollander"
Attorney Eugene K Hollander has been helping injured victims in Chicago for over 20 years. He is aggressive in pursuing the best outcome for his clients and has a proven track record of success in obtaining significant settlements or verdicts for them. Mr. Hollander has extensive experience handling personal injury cases and has tried approximately 100 cases in state and federal court.